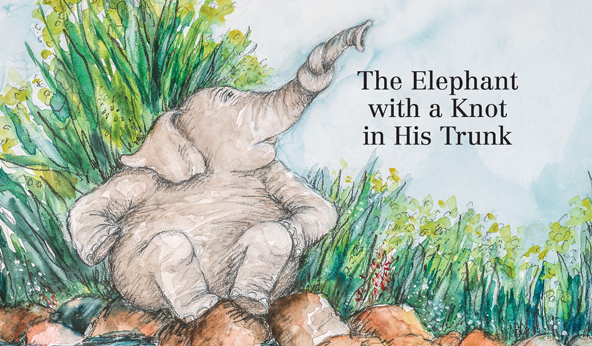 "Tell me the story about your trunk, Grandpa Kofi..."
A young elephant bullied for his congenital abnormality faces an ethical dilemma about rescuing his tormentor in this children’s picture book. When Kofi, an elephant, is born, he has a knot in his trunk that makes ordinary tasks, such as drinking or trumpeting, difficult. Other elephants tease him, especially mean Big Ebo. Kofi’s parents take him to see “a special doctor” for an operation. Afterward, his trunk has a curl in it, but it works. One day, during rainy season, he sees Big Ebo stuck in the swirling river, and Kofi decides to pull him out. As Kofi later tells his grandchildren, “that’s when I knew: I was going to be all right.” A guide for parents and teachers is included. Patz (co-author, with Susan L. Roth: Babies Can’t Eat Kimchi!, 2007, etc.) and debut co-author Sheer, an orthodontist who volunteers with Operation Smile to fix cleft palates and similar problems, present the challenges of physical difference in an understandable way for kids. They acknowledge the hardships but also show supportive parents. Kofi’s trunk realistically looks odd post-surgery, but the focus on how well it now functions is helpful. Perhaps Kofi shouldn’t have to prove he’s a hero to feel good about himself, but the book’s message that life goes on is encouraging. Patz’s lovely watercolor-and-pencil illustrations are wonderfully expressive. Kofi, a young elephant, was born with a knot in his trunk. His disability keeps him from eating, drinking, and trumpeting as other elephants do. His peers bully him, and Kofi feels isolated and inadequate. When he discovers Big Ebo, the meanest bully, caught in a whirlpool, he faces a challenging decision. Should he attempt to rescue the bully? Can he succeed? Should he even try? This is the unusual story of Kofi, a little elephant, and the difficulties he faces because of his physical difference, even though he is encouraged and supported by loving parents. In an extremely challenging situation Kofi makes the difficult decision himself to try to rescue the meanest bully, deciding that this is simply the right thing to do. 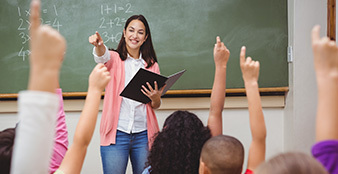 Perceived by their peers as “different”, children with disabilities are often subjected to teasing and bullying. This compassionate book provides one such character’s insightful handling of the situation. Bullies tease Kofi a lot about his disability, and this makes him feel alone and scared. When he discovers the meanest bully caught in a dangerous situation, should Kofi rescue him? Should he even try? Learning to appreciate differences in people makes friendships more interesting. 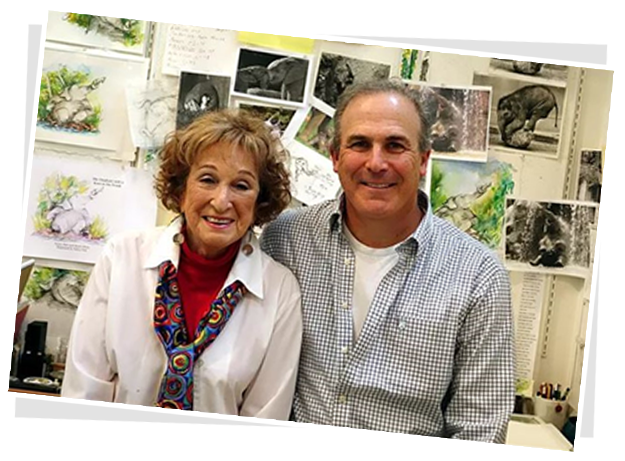 Nancy Patz has won numerous accolades for her beautifully written and illustrated children’s books, many of which address emotionally sensitive topics. 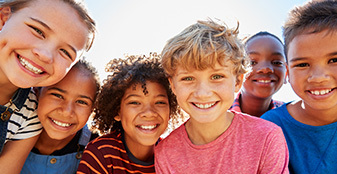 Orthodontist Stuart Sheer has treated children with dento-facial problems in many countries around the world, pursuing his desire to ease the emotional and physical burdens these children experience. 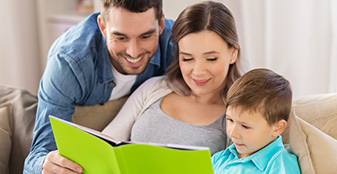 Together they have created The Elephant with a Knot in His Trunk, an insightful and deeply moving book.